The page title in on page SEO terms is probably one of the most important Search Engine Optimisation elements to consider. To try and ensure the best possible start to your SEO campaign it is advisable to spend a good amount of time considering what to include within your page title to help maximise your on page SEO. • Google Algorithm - As mentioned above, the page title is the most important part of on page SEO. It acts as an important summary of what your page contains and also carries the highest on page significance according to the Google Algorithm. • Search Engine Results Page - After typing an enquiry into a search engine your results will be displayed in the SERP. The page title is used by every search engine as the blue linking line at the top of each result. This is an important element of SEO. Try to make your title as catchy as possible, with a call to action. Take some time searching for similar topics in various search engines and make a note of which page titles stand out and make you want to click on them to enter a website. • Browser Windows -Most browsers these days will display the page title along the blue bar at the top of the window. When dealing with multiple tabs within one window the title can be displayed on individual tabs. 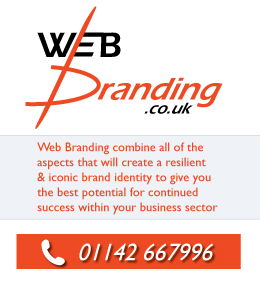 This shouldn’t be underestimated as this is all good online marketing to help web branding. • Directory Submissions - When submitting your website to certain directories or librarian services they will insist that they use your page title as a deep link into your website. It is advisable for on page SEO that within this title is the name of your company and perhaps your website. A good SEO title will consider all the above Search Engine Optimisation points and should also be keyword rich. The title should contain a call to action and attempt to engage the user while standing out from the rest of the search results. • Title tags shouldn’t exceed 85 characters and never more than 120. • Write the title so it can be truncated at both the 66 and 75 character marks. • Try to include your company name or website. • Keywords used in the title should be repeated in the URL, keyword tag, heading tag and content. This is the first lesson to On Page SEO and one of the most important parts of laying the foundations for a successful Search Engine Optimisation Campaign. The next lesson of this collection looks at the role of Meta descriptions and keywords within on page SEO.